The new Apple Inc. headquarters in Cupertino, California is gigantic. The centerpiece is a huge, ring-shaped office space made almost entirely of panes of glass. And while it looks really good, it has its fair share of disadvantages. Like, uh, people keep walking directly into the glass. Ouch. 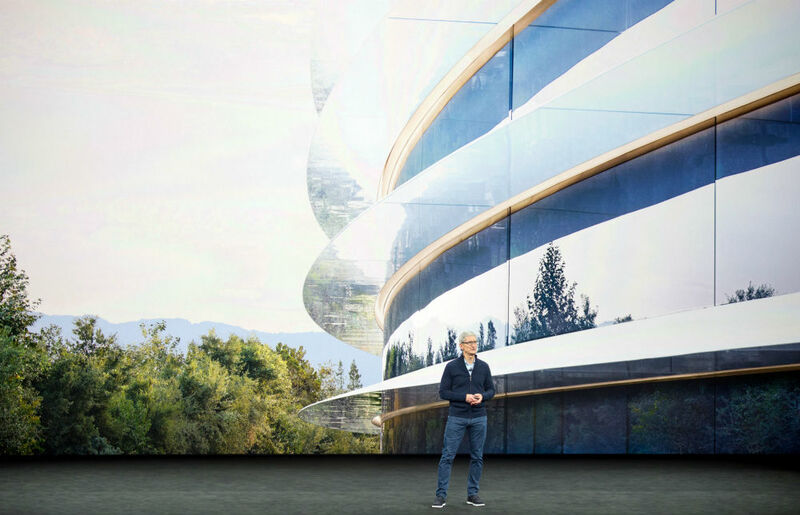 The space is made with 45-foot tall curved panels of safety glass, and the smaller work spaces inside (called “pods”) are also made up of almost all glass. And apparently the Apple staff, distracted by their various Apple devices, keep walking into walls. Employees have even started sticking Post-It notes on the doors so people realize they’re there. The company, however, is not too pleased with this solution, and the sticky notes have reportedly been taken down to preserve the aesthetic. Apple hasn’t released an official statement about the wall-smashing trend, and not many other details are available. However, MarketWatch got hold of public records and found that at least two employees were injured enough to warrant calls to local emergency services (the injuries ended up being minor cuts, and no one has been hospitalized…yet).